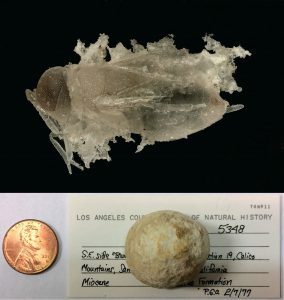 The Natural History Museum of Los Angeles County is responsible for a little-known – yet sizable – fossil insect collection. Together, the Invertebrate Paleontology department (LACMIP) and La Brea Tar Pits and Museum maintain over 28,000 fossil insects, of which 23,000 are from Southern California. As of Sept. 1, 2017, LACMIP has received NSF support to digitize these holdings, informally known as the “Fossil Insects of LA” project. The targeted collections primarily include asphalt-preserved specimens from the Ice Age Rancho La Brea tar pits and compression fossils from the Oligocene Rott Formation of Germany. Specimens from the Miocene Barstow Formation, the Pleistocene McKittrick asphalt beds, and lignite-associated deposits from British Columbia will also be included within the scope of this project. Collectively, these specimens will comprise the final contribution to the Fossil Insect Collaborative. 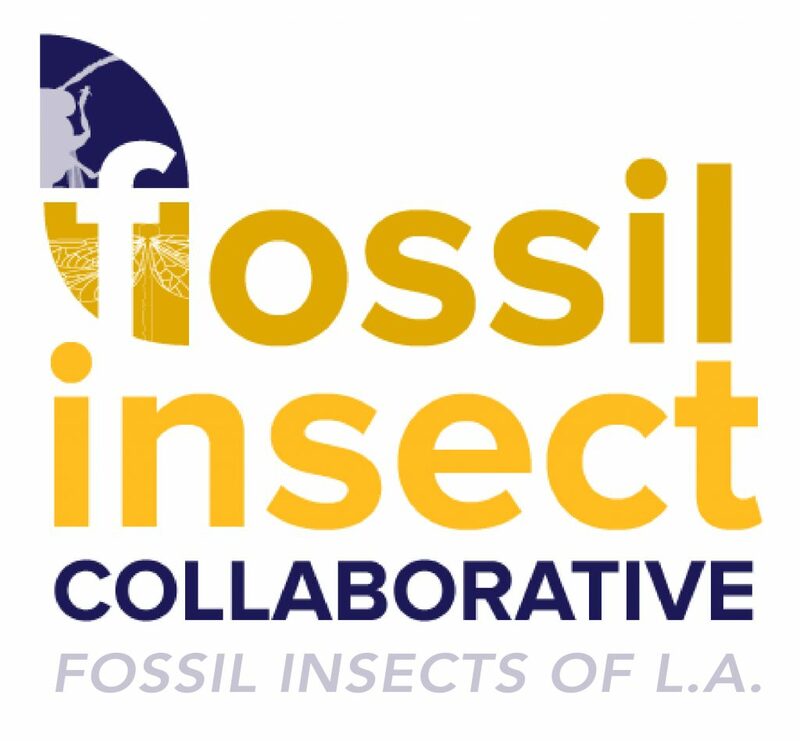 Funding for the Fossil Insects of LA will support the digital cataloging (databasing) and georeferencing of 10,960 fossil insects, of which 6,207 will be imaged, and the online aggregation of an additional 15,684 specimen records from the Rancho La Brea Tar Pits. It will also provide for a digital imaging station to facilitate fossil insect macrophotography and will support a dedicated project manager for the duration of the grant (2017-2019). The Fossil Insects of LA will serve as a test-case for the ePANDDA Project, which will enable all specimen records and images to be digitally associated with their occurrence data and relevant literature. All results of this work will be made publicly available online through iDigBio. 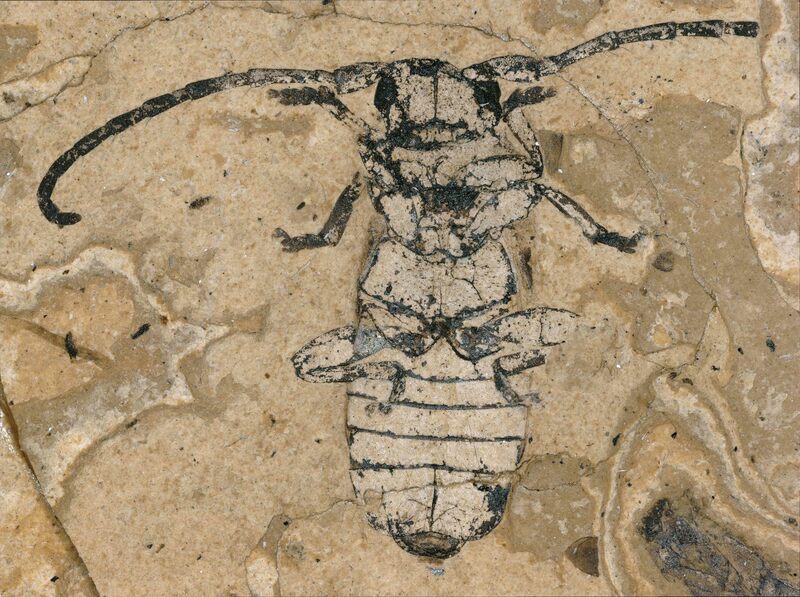 Inquiries regarding LACMIP’s fossil insect collections should be directed to Lindsay Walker (lwalker@nhm.org). The “Statz Collection” constitutes the centerpiece of the LACMIP’s fossil insect collection. Amassed by its namesake collector, Georg Statz, during the early 20th century, this collection contains over 4,200 specimens. However, the collection’s current location in Los Angeles makes it extremely difficult for present-day paleoentomologists to access, who often live overseas and cannot easily visit California. Through digitization, the Statz Collection will become readily available to the worldwide community of fossil insect researchers. All of the LACMIP’s specimens from the Statz Collection will be databased and over 3,000 specimens will be imaged by the conclusion of this project. One goal of the Fossil Insects of LA project is to preserve the legacy of Georg Statz through the digital preservation of his collection, which is not only scientifically significant, but also historically important. Statz spent several decades making and describing his collections from the Rott Formation as he worked toward his doctoral degree in paleoentomology at the University of Cologne. Nearly 900 of his insect specimens are types and/or figured in publications, and all were acquired from a now-inaccessible fossil locality. Given that these collections were his life’s work, Statz hid them from destruction during World War II. Fortunately, his efforts paid off, and the Statz Collection survived the war, although Georg Statz sadly did not. The collection was later purchased from the Statz family by the Natural History Museum of Los Angeles County in 1955. It initially arrived in Los Angeles with both fossil insects and plants, but the latter were transferred to the Institüt fur Paleontology (Universität Bonn) in 2003. Read more about Georg Statz here. LACMIP uncataloged hymenopteran. 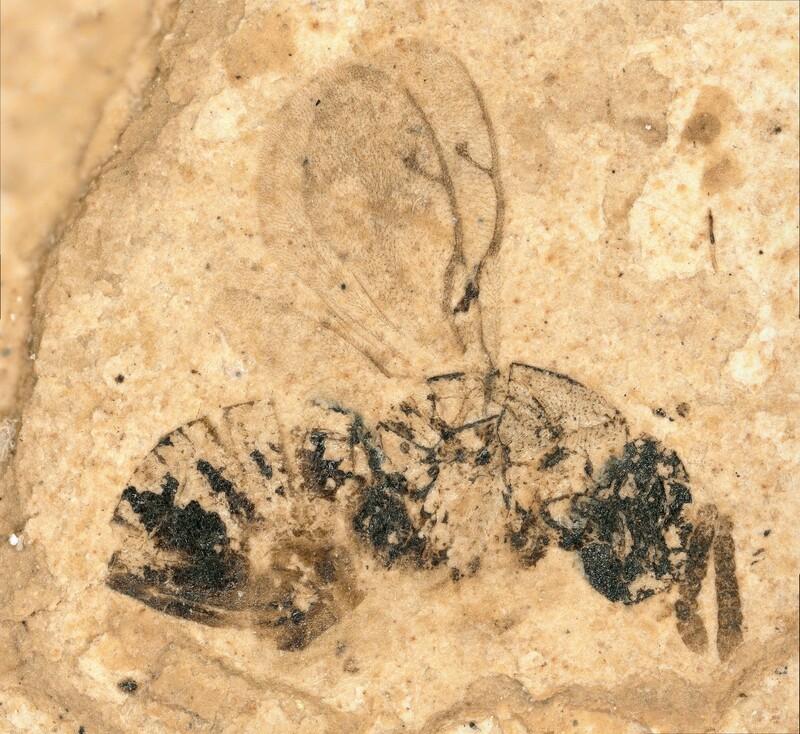 Fossil insects, such as this one, can be extracted from concretions found in the Calico Mountains. A lesser-known component of Southern California’s Miocene Barstow Formation includes its fossil insects and other arthropods. Three-dimensionally preserved in silica, some of these specimens are extraordinarily detailed, retaining intact morphology, such as individual antennal segments and sensory hairs. This unusually high quality of preservation makes the fossil insect deposit of the Barstow Formation a fossil-lagerstatte. Entombed in carbonate concretions, fossils can be extracted from these casings via dissolution in weak acid. A single concretion may produce dozens of individual specimens if prepared correctly. Most specimens are nearly microscopic, but others, such as dragonfly nymphs, can be clearly seen with the naked eye. To date, relatively little research has been conducted on the unusual collection of “glass” insects housed at the NHMLAC. However, this component of the Barstow fauna has potential to refine understanding of the ancient lake environment and the surrounding climatic conditions of the Mojave area 14 million years ago. All specimens from this collection will be digitally cataloged, and a selection will be imaged as part of LACMIP’s contribution to the Fossil Insect Collaborative. This project is supported by the National Science Foundation (NSF DBI 1702342).